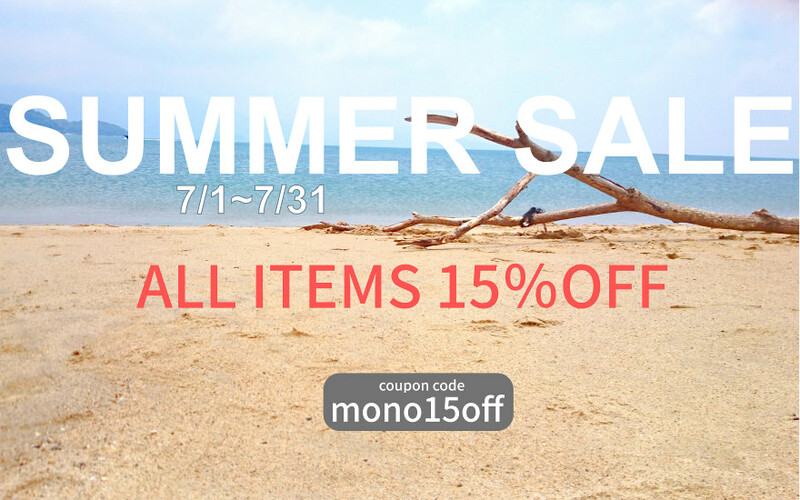 At Monocircus, we organize a sale event in Summer and Winter every year. Here's how to get your discount. If you don't already have a monocircus account, please sign up an account with us. It is free! Simply type in your email address, name, mailing address and preferred password, and your account is all set to go! With an account, you will be able to look at your past orders and making new orders will be a lot easier as you already have your mailing address registered in your account. Monocircus sends out a monthly newsletter only to customers who subscribed themselves to receive this newsletter. Registering an account with us does not automatically get you subscribed to our newsletters. So you do not have to worry about receiving any mailers from us when you register an account with us. To use the discount coupon, please log in to your account before you begin your shopping. and then click the 'apply coupon' button. and simply proceed to check out. Each customer is entitled to 3 uses of this discount code during the Summer Sale period.